My vegan diet has changed significantly since I first went vegan in 2008. (The evolution of my diet from this past year can be found in My diet is simple.) I tried a raw vegan diet briefly when I first went vegan but could never maintain it because I wasn’t eating enough calories. I was also eating far too much fat, as most raw vegans do, and focused my meals around nut pâtés, nut-laden heavy desserts like raw cheesecake and even used raw cold-pressed oils with abandon. I also focused on complex raw meals like raw versions of pizza, burgers, and lasagna and snack foods like seedy dehydrated crackers, chocolates, and other goodies purchased from WholeFoods. While all raw, these were still processed and incredibly expensive! Part of me always wanted to be fully raw because of the simplicity. Unfortunately, at that time I had no idea what I was doing so I naïvely followed the recommendations of mainstream raw foodists for their high fat diets. 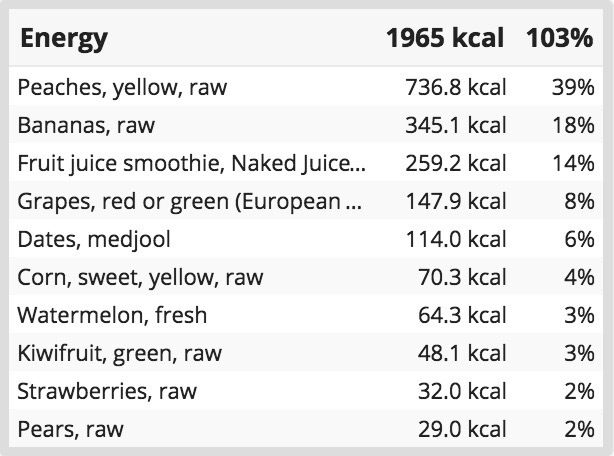 I didn’t know that raw vegan diets vary. Some are high in fat, expensive, and complicated but others, like the high carb low fat diet advocated by Dr. Graham in his book, The 80/10/10 Diet, are completely opposite: low in fat, affordable and as simple as you can get! It wasn’t until I read The 80/10/10 Diet that I realised the ‘right’ way to eat raw: a diet high in fruit and tender leafy greens with minimal fat. ’80/10/10′ refers to the macronutrient ratio of your daily calories: 80% should come from carbohydrates, 10% from protein, and 10% from fat. I first read this years ago but couldn’t change my diet. At that time I wasn’t ready to completely cut out all other foods besides raw fruits and veggies from my life. I had a mental attachment to certain foods and worked as a pastry chef. I wasn’t in the right environment to be living as a raw fruit vegan. This type of lifestyle seemed too extreme for me. No eating out, no coffee, no processed foods. I didn’t have it in me to give these up. 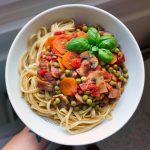 It’s strange for me to write about this now since back then I felt like I’d need to ‘give up’ my favourite foods to pursue this raw lifestyle. Now raw fruits and veggies are the only foods I crave. I genuinely want to eat this way 100%. It isn’t a struggle and I can’t imagine going back to how I ate before, especially to how I was eating when I first transitioned to veganism. I ate way too much vegan junk food! As I mentioned previously in My diet is simple, I cleaned up my diet in a huge way after meeting my boyfriend in Scotland. I’ve finally conquered my caffeine addiction (thanks to his support) and went back to a clean HCLF lifestyle. My diet in Scotland was primarily fruit, with steamed veggies and potatoes for dinner. Since I started this Euro trip a few months ago, I maintained my diet for the most part with the addition of rice, pasta, and an occasional meal out. And since arriving in Paris almost 2 weeks ago, I’ve eating mainly fruit. My diet is clean and I feel great! The greatest thing to me is that I’m able to improve my diet little by little and I never struggle to maintain it. I find myself only wanting to eat fresh fruit even when other options are available. If I really wanted to eat some rice or potatoes, I could do so, but I don’t crave them at all anymore. This is a sign that I’m fueling my body properly: I’m getting all the nutrients my body needs from fresh fruits and veggies! I was inspired to re-read The 80/10/10 Diet recently and am now ready to give this raw lifestyle a solid try. Eating raw just makes sense to me. We truly are what we eat. Our bodies replenish cells and rebuild using the food we eat, so why not eat the best foods possible? I feel like it’s the last piece of the puzzle for me to achieve optimum health. And this achievement isn’t at the expense of enjoying life, as some might assume. The opposite is true. I feel alive and more vibrant than I’ve ever felt! I’m buzzing with new energy and optimism for the future. Besides the health benefits of eating mainly fruits, this raw lifestyle suits me as a nomad because it’s simple. No cooking necessary, no pots and pans to wash, no seasonings or spices needed. Currently, I’ve been noshing on peaches, bananas, and salads. My favourite salad so far contains corn, cucumber, bell pepper, coriander, dates, and fresh lime juice. Delicious! I also love my Innocent smoothies since I don’t have a blender here. I usually drink one per day. My next goal is to incorporate leafy greens into the mix. I don’t plan on eating much raw broccoli or tougher cruciferous veggies simply because they are difficult to digest. Eating this way is healthy and nutritionally complete. With the exception of a B12 supplement, I can get everything I need from fresh fruits and veggies. 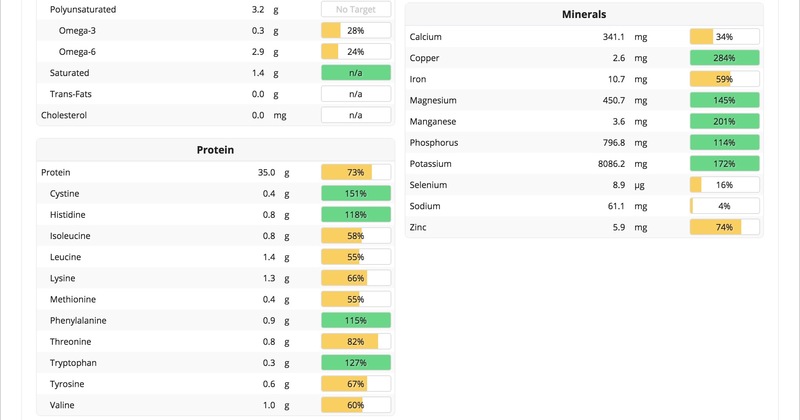 I plan on tracking everything I eat in Cronometer and will be posting ‘What I eat in a day‘ videos for my YouTube channel every Wednesday to help give others some perspective on this lifestyle. 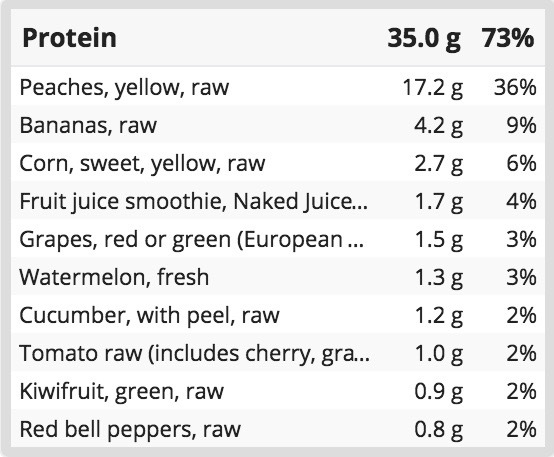 Here is my Cronometer summary with daily averages for my first week as a raw vegan. I averaged 90% of my calories from carbs, 6% from protein, and 4% from fat. I’m excited to see where this raw lifestyle takes me! I have no plans on reverting back to cooked food (even steamed potatoes and veggies) but I’ll see how I feel this winter. I won’t fight my body if it craves potatoes or the like. Focusing on fruit and minimising fat is more important to me than focusing on raw. My story has a lot in common! Vegan for 5 years, high raw vegan lots of times in the past but high fat (oils, nuts, seeds, coconut, pur cocoa…). Then I found 801010 raw vegan in July 2015 and a new world opened for me. In the summer (for 4 months) I felt as you describe, living from mainly fruit, very few overt fats (avocado) or none, not craving cooked foods. But now it’s cold where I live at the moment and it seems I haven’t been giving all my body needs from fruit because I crave steamed veggies, potatoes and rice noodles or polenta. I don’t really crave other processed, fatty, salty vegan foods, just the steamed veggies, potatoes, “easy” grains. And I am eating them for dinner. But…! But I don’t feel my best. I feel so full after these dinners! Maybe to many potatoes, veggies…? But the fruit available now is not very appealing, I don’t fancy eating meals of all bananas, nor dates… I miss my watermelon, I lived on watermelon from April to September. Love it. Here you have my Instagram: https://www.instagram.com/vidadesaborautentic/, you already know it, but if other people want to join too 🙂 Thanks for your posts, so happy to have found you. I relate a lot with your experiences!